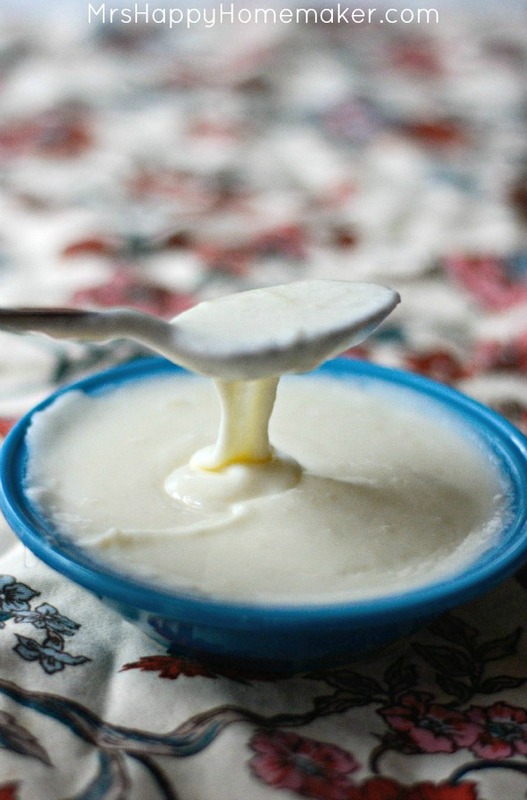 Making your own homemade cheese sauce will never intimidate you ever again! My recipe only has 4 ingredients & the process couldn’t be simpler to make! I’m a sucker for cheese. The more, the better – you feel me? It’s probably one of my biggest budget killers. I like to think I’m pretty good at making every penny stretch – but boy, when I get into Whole Foods in the cheese section…. and that ‘being good with money’ goes right out the window. You know what doesn’t go out the window though? Lots of cheese. Fancy cheese. Yummy cheese. It goes straight into my buggy, through the checkout, & into my mouth. Some people think that making cheese sauce from scratch is hard, but I promise y’all – it’s not hard at all! It’s only four ingredients, y’all! And I promise, it’s not hard one little bit. So super simple, so stop being intimidated by it – and start making it. 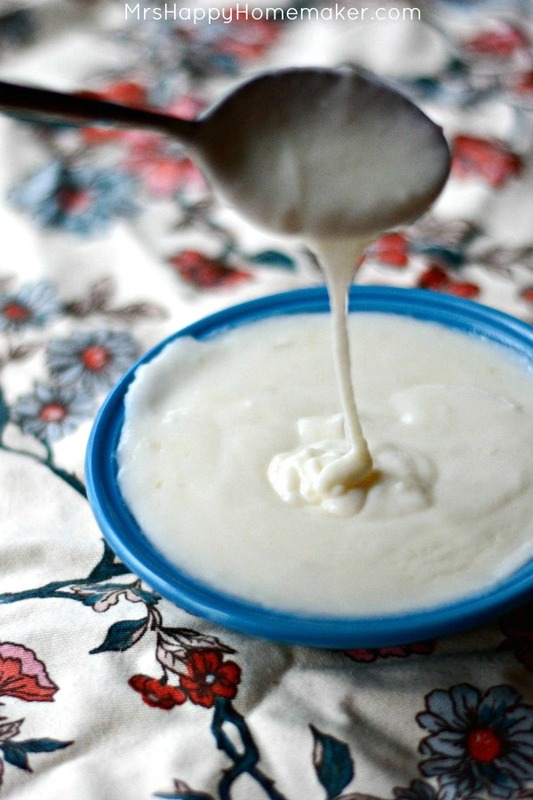 Being able to make homemade cheese sauce for a variety of dishes, not to mention simply dipping your chips in it, will make your life instantly better. FYI – Cheese sauce is the perfect appetizer for any holiday or any occasion at all for that matter too – or topping to chicken, pork, lasagna, turning into mac & cheese, whatever! And New Year’s is coming up – how perfect would this be to snack on as you wait for 2015 to roll on in?! Yum, yum!! This recipe makes a about 2 cups worth of cheese sauce. You’re welcome to double the recipe as needed to suit your needs – I do this a lot when making my Super Nachos & Squealing Pig BBQ Nachos. First thing to do is to shred that cheese. Yes, you can buy pre-shredded cheese – but I’m not not a fan of it. It’s got stuff added to it to prevent it from sticking together & clumping – and my inner ‘ew’ alarm goes off with it. I’d much rather buy a block of cheese & shred it myself. Plus, it’s cheaper – and when you buy cheese the way that I do, you gotta save some money any way you can 😉 You can do any kind of cheese you want. Mont. jack, pepper-jack, or cheddar-jack for nachos or dipping chips in, mozzarella for Italian dishes, etc. I never shred cheese by hand though. I always pull out my trusty Hamilton Beach food processor. A food processor makes the shredding of the cheese super fast – I literally can shred a block of cheese in a few seconds flat. 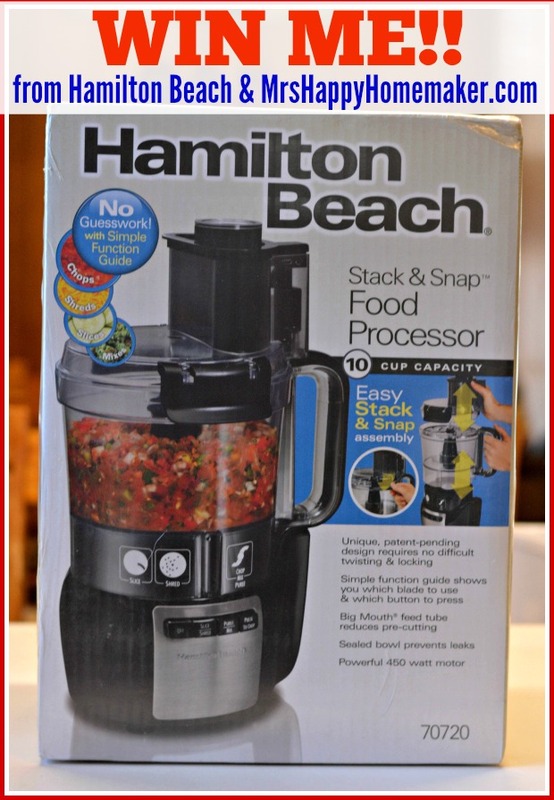 Ooooh, and by the way – at the bottom of this post, I’m giving away a Hamilton Beach food processor just like mine – woot, woot!! In a saucepan, melt 2 tablespoons of butter. 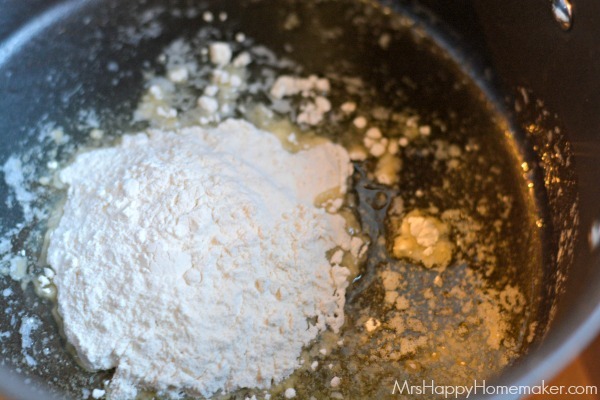 Once melted, whisk in 1/4 cup of all purpose flour. Cook on medium heat for about 60-90 seconds, stirring occasionally. 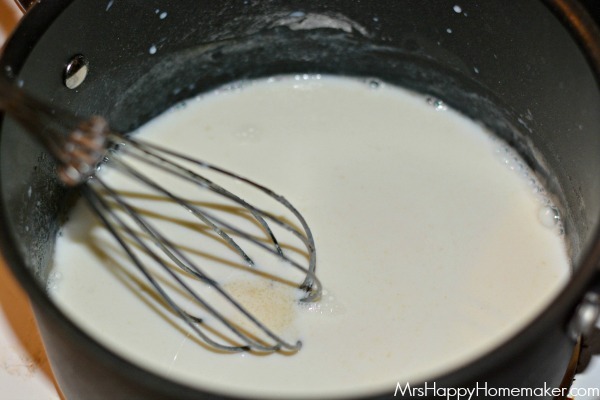 Whisk in 1 cup of milk. It should get thick pretty fast. Once thickened, add in your other cup of milk. Cook, whisking often, on medium heat until it’s thickened enough to lightly coat your whisk – about the thickness of heavy whipping cream. Add in 8oz of shredded cheese. 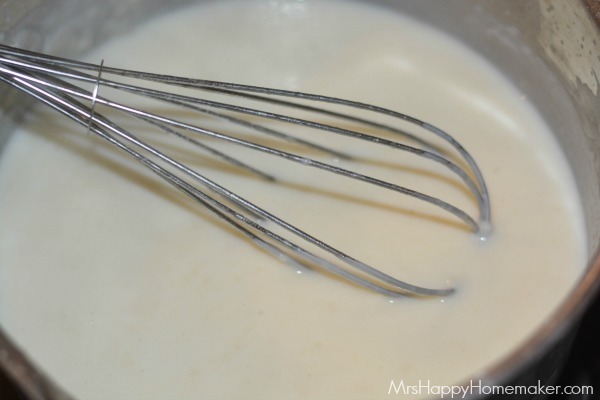 Whisk it until the cheese is completely melted & throughly combined – the cheese sauce should be beautiful now! Serve it however you like – nachos, dipping tortilla chips in, on top of various dishes…. be creative! Melt the butter in a medium sized saucepan. 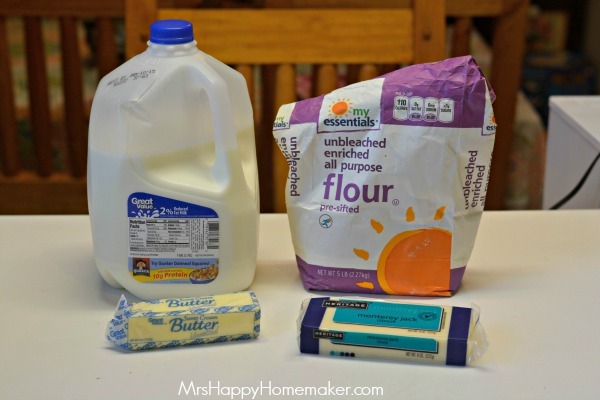 Add the flour, & whisk. Let it cook on medium heat for 60-90 seconds. Pour in 1 cup of the milk, & whisk to combine. Let cool until thickened, it will thicken pretty fast. Then add the remaining cup of milk & whisk well. Cook on medium heat, stirring often, until the mixture has thickened to about the consistency of heavy whipping cream. Stir in the shredded cheese until melted. Now, that giveaway I promised you! I’m SO excited about this! Disclosure: I was compensated for this post in forms of product received from Hamilton Beach. All opinions & general ramblings stated are my own. This would make grating cheese SO much easier! And save my finger tips too! Your homemade Cheese sauce looks delicious! I would love to try making it. Thanks for a chance for wining this awesome Food Processor. Mine broke and I need a new one! 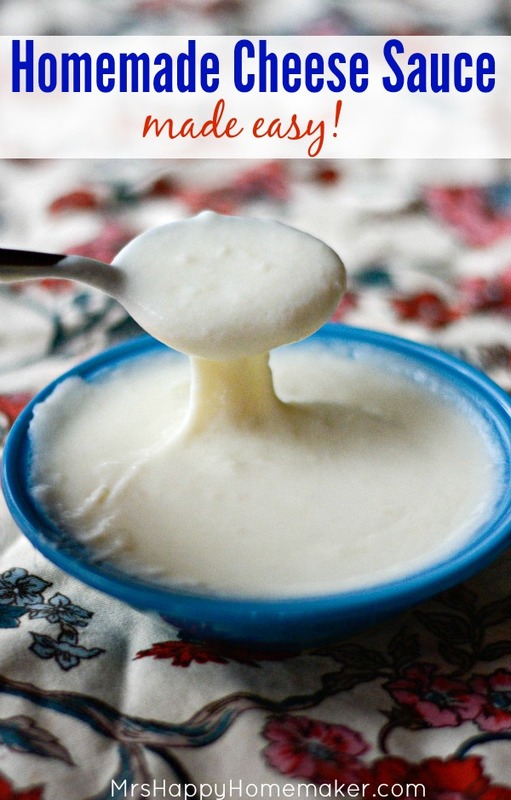 This cheese sauce looks so easy and delicious! I love cooking from scratch. I hate grating cheese! This sounds much easier. I’ll use the processor to make basil butter garlic bread spread. Thank you for the chance to win, that cheese sauce looks amazing! My current HB food processor is 15+ years old, I would love to update it! I would also use this to grate cheese. That pre-shredded packaged cheese just does not to it for me. I would love to own one of these as I do a lot of cooking in the kitchen and have never used a food processor before. I love cheese! I make Mac & Cheese weekly. Love the way you make it. Thanks! I’m definitely trying this cheese sauce. Oh yeah and I hope I win. It would be an awesome gift for my mom. Fingers crossed. 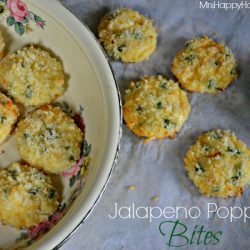 Is there a printable recipe/link? I’ve never owned a food processor but I love your recipes and this food processor would be great for keeping up with your recipes! Will any cheese work or does it have to be a soft cheese? I could really use this. Grating cheese is hard on me as I have arthritis. Would be so nice to have. 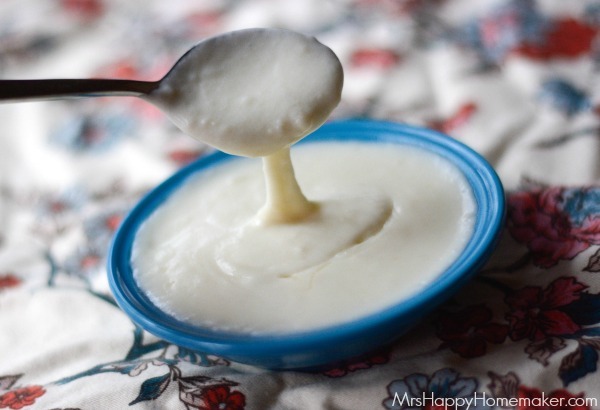 This cheese sauce looks so easy and delicious! This sounds delicious and great giveaway! yum.. who doesn’t love cheese sauce? mincing onions and shredding cabbage would be much easier in such a machine. I LOVE CHEESE SAUCE. I DON’T LIKE THE PRE-SHREDDED CHEESE. THIS FOOD PROCESSOR WOULD HELP OUT WITH THAT STEP FOR SURE. i would love to have this i have always wanted one of these it would definitely be useful!! Wow..definitely trying this cheese sauce. You’re just the best! I now copy down all of your recipes and make them one by one. Delicious stuff. 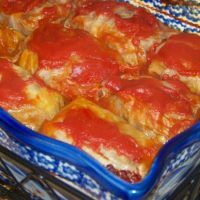 I love this sauce recipe – yummie. Nice gift. thanks for the chance. What a great item for the kitchen to wim .. So many wonderful things (baking, cooking, canning) one can do with it !! I always make my own cheese sauce. My family loves it! We will be making this for our at home New Year’s Eve party!!! I know exactly what you mean, Crystal. I’m a cheese head too. Cheese is great on everything. I would love to use a food processer.It would make my job easier to can food for my family.Thanks for the giveaway. would love to have one of these. thanks again. 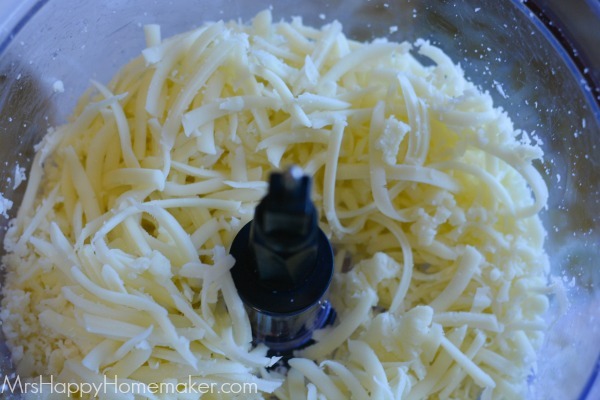 Thank you for the cheese recipe and the opportunity to win the food processor! Happy New Year!!!! that looks yummy! I think I can make that! 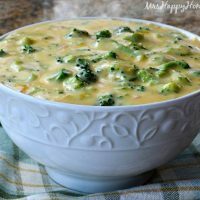 Love this cheese sauce recipe. I will try it tomorrow with nachos. Thanks for this cheese sauce recipe. It will come in handy for so many dishes! I also wondered how to print off your recipes. I enjoy getting new and different recipes. I am going to try this and see if the kiddos will approve. Thanks for the recipe. We love mixing cheeses to make our own flavors. This will make it even easier. Cheddar makes it better, right? I put cheese on nearly everything. Wow, who knew making the delicious cheese sauce that I pay out the nose for at the local Mexican rest. 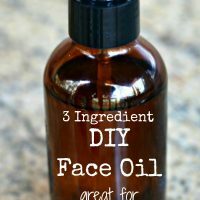 could be so easy and inexpensive! Thanks so much for sharing! time for a new one. Love your blog . Thank you. This cheese sauce recipe looks delicious. Wow, the cheese recipe looks awesome. I cook everything from scratch. It really helps to have great equipment. It would be awesome to have a Hamilton Beach Stack and Snap Food Processor. Thanks for giving us an opportunity to win. Your cheese sauce looks yummy! Thanks for the chance at the giveaway!! Every time I try to enter your contest it will not let me leave a comment, question #1, then I pin the contest to pinster, and I can’t get the url. In this contest I have pinned it at 6 Times. I really need this machine. But pinster is just giving me all kinds of problems. Please check my pinster account to verify how many times I have pinned this contest. I would love to win this to make smoothies! Thank you. My mother taught me how to make this sauce years ago. It’s soooo good! I gonna have to make this and add some chorizo sausage. 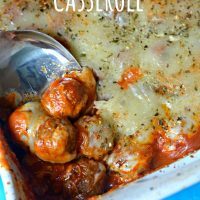 My hubby is a huge fan of sausage cheese dips. I’d love this to make my smoothies and salsas with! Thanks for the chance. Thanks for the recipe and I would love love love to win. The food processor would be so great to have! I love to cook from scratch but seem to be inhibited a bit with the Arthritis in my hands. What a great help this would be!! Thank you so much for the chance to have one of these! Cheers! Oh and LOVE the cheese recipe!! Family dove right in! This would be great for making mac and cheese. How can you not love cheese??!? This would be useful in the kitchen. Yes, a food processor from Hamilton Beach would make this sauce fast and super easy. Thanks for the entry ! This sauce would be good with American Cheese for macaroni and cheese . I will try it. Just so happens I’m making mac and cheese for dinner tomorrow night and your sauce looks delish! We’ll be trying it! I never did find the entry form for the food processor, but that’s ok. Thanks for the opportunity! I’ll have to try this sauce! 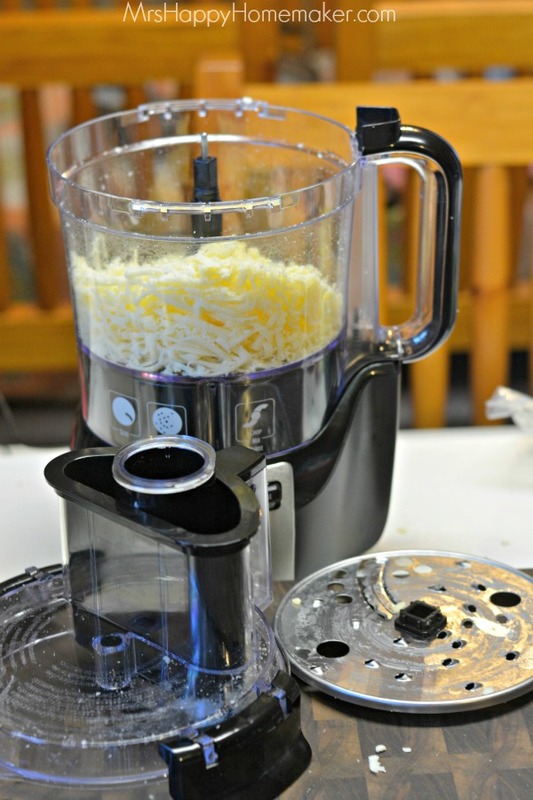 I love to grate my own cheese but you do have to have a great food processor to do the job. 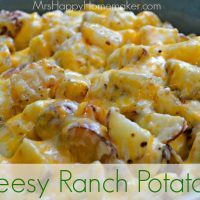 Our family LOVES cheese and cheese sauce thanks for the easy recipe. I don’t have a food processor anymore, mine gave up the ghost long ago and grate by hand so would sooooooo love to win this. I use so much from scratch that it sure would come in handy and for canning too. Can’t wait to try this out!!!! I think it would be so great to have one of these, just making your own hummus would probably pay for itself on my house after 6 months, ha! I love learning new kichen tips and tricks. I can’t wait to try this! Absolutely LOVE your posts, thank you for always sharing with the rest of us! 🙂 Happy New Year! If I win, it will be my first food processor, thanks for offering us a chance to win it. Thanks for the chance to win this and the great reviews that you do. 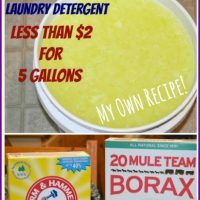 I found your blog a couple of months ago and so glad I did! My daughter keeps telling me I need a processor – maybe I’ll be lucky. Thank you for the chance to win your give away. Thanks for the chance to win one of these. I’ve never won anything. That would be so awesome. The cheese sauce looks amazing. Have to try it soon. Also, I’d like to say that I LOVE all of the recipes that I’ve tried of yours, so I’m sure that this one won’t be any different. 🙂 Keep up the great work. This would be wonderful and thanks for the chance! Thanks for the recipe & the giveaway! I love your newsletters! Love cheese sauce and this would be nice to have. I am a cheese-o-holic. Your recipe is THE BEST! I’d throw that baby on anything – pasta, eggs, veggies, you name it. I’ve been known to melt goat cheese into Rocky Road ice cream. I bet this recipe would go great with Pralines & Cream! 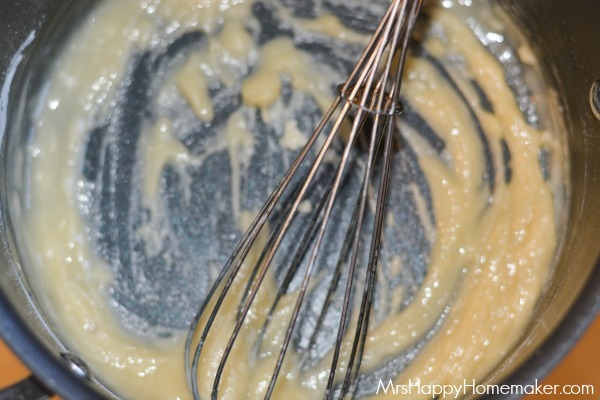 Your cheese sauce looks delicious….I am anxious to try it out. Thanks for the giveaway. Love your posts and my newsletters; I also love cheese. 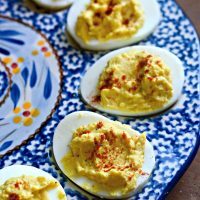 Love your blog and this recipe! The cheese sauce recipe is awesome. The Hamilton Beach Food Processor looks like a real work horse. I own a HB fancy toaster oven and use it daily. It is great. Boy, do I need this! Just realized my food processor is 27 years old! It was a gift from my ex… Not the cause of the divorce, tho… That was the vacuum! 😉 best of luck to us all! This recipe sounds great and I would love to try it! I hope this is where I enter to win the food processor! I don’tsee any instructions for it anywhere! 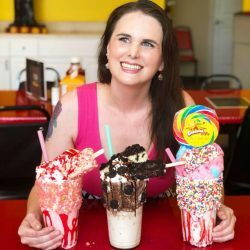 Awesome prize and awesome recipe! This cheese sauce sounds like it would make a really good mac and cheese. What a kind, thoughtful giveaway, thank you. I used to own a similar processor years ago and used it quite often. I am sure this one would see much service in my kitchen now, if I were blessed enough to win it. Awesome giveaway I could use this in my kitchen!! My brother loves cheese sauce like this! 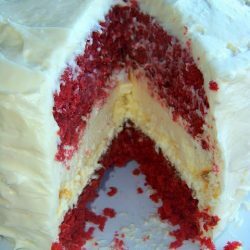 I’ll have to make this for him! I cant wait to try this sauce. sounds easy and good. Everything is better with cheese, this sauce look so delicious. Thank you so much for this Great Giveaway! We All Really Appreciate it very much! I would make Pico de gallo. I could really use a food processor, I hope I win! 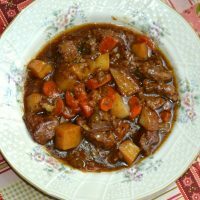 Love following your post and have made several and shared your recipes. Really enjoyed (twice) your Honey Baked Ham Recipe. Thanks and the processor would be a great addition to my daily cooking. Oh yeah and you post of your daily routine of beauty products, I just received everything and have already started noticing the results. Thanks again from North Carolina. Can’t wait to try, I LOVE nachos, thanks for entering me in your contest, I don’t have a food processor.. 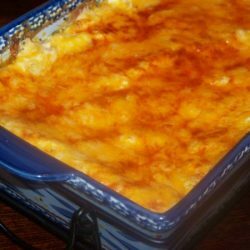 I had no idea this cheese dip was so easy to make! Stopping by from Lou Lou Girls. Thanks for the chance to win! A food processor is something I could really use in my kitchen. 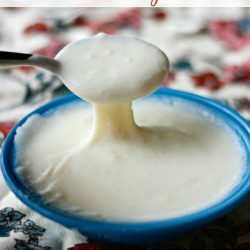 I never thought about making my own cheese sauce! I cant believe how easy it is too. Thanks for sharing! The cheese sauce looks delicious! A food processor would cut the time in half on some of my recipes. Looks wonderful, can’t wait to try. Thanks! My last food processor was much too complicated–so many pieces that all had to fit together in a specific way, it was easier to do the chopping or mixing or whatever by hand. I would love to have a food processor like this Stack and Snap model that I could actually use! I made this tonight for macaroni and cheese. So simple and delicious! I haven’t had it since I was a little girl. Mom did everything from scratch! « Previous PostMy Favorite Beauty Products & They’re All Affordable!